Anyone who speaks can sing... In other words singing is for everyone. This is the reason why SCJ is opening up its rehearsal doors for anyone who wants to give singing a try in a fun and exciting environment... You will learn vital life skills that help in becoming a better individual: you will learn how to listen and sing 'in tune' with those around you, laser-sharp your focus and concentration, discipline, experience the reward of hard work and above all learn how to master the universal world of music. 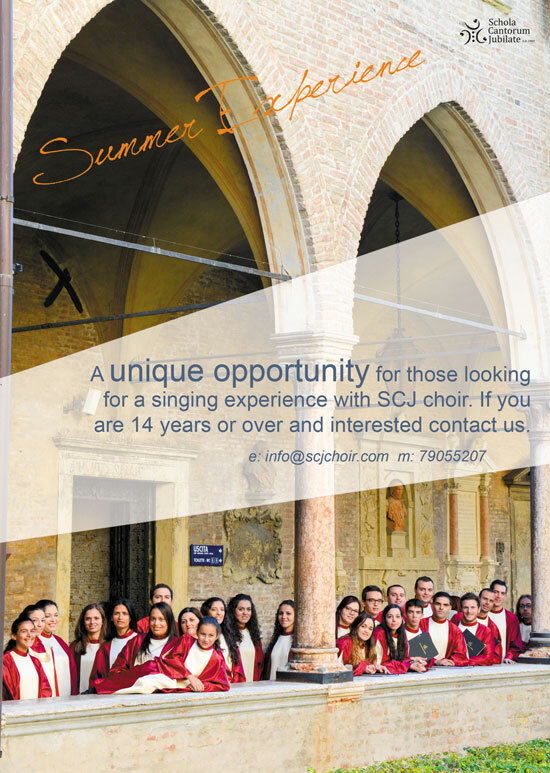 So if you want to do something good to yourself this summer contact us on info@scjchoir.com or leave us a message on our facebook page (Schola Cantorum Jubilate Choir). A series of clips inspired by Oħlom Oħloq Create2020 campaign are featuring key people whose lives have been transformed by the arts. SCJ director Marouska Attard was choosen to represents the choral aspect and her experience in this field. This clip is being featured on Malta's National TV station and is produced by Arts Council Malta. 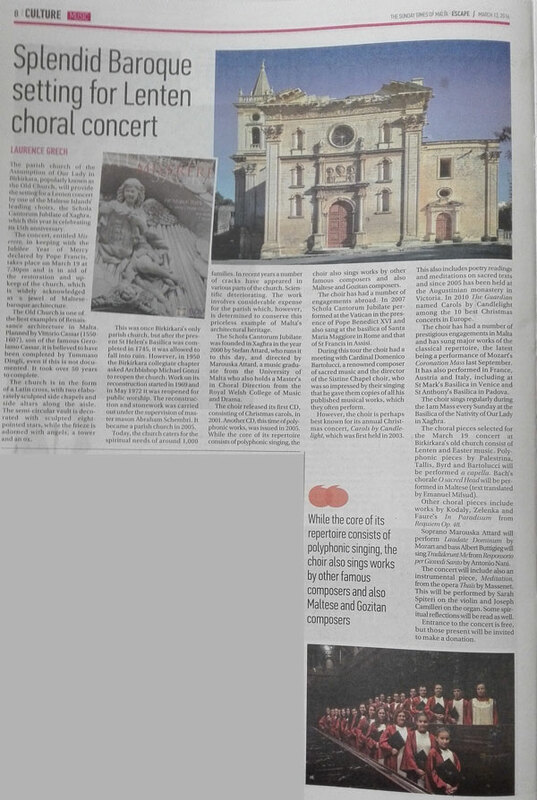 The parish church of the Assumption of Our Lady in Birkirkara, popularly known as the Old Church, will provide the setting for a Lenten concert by one of the Maltese Islands’ leading choirs, the Schola Cantorum Jubilate of Xagħra, which this year is celebrating its 15th anniversary.